Dr. Trevor Harrison, director of the Parkland Institute and co-author of Alberta in Context, Health Care Under NDP Governments (Photo: David J. Climenhaga). Who knew? The facts don’t support the myth that New Democratic Party governments always try to break the bank with health care spending! Study co-author Dr. Rebecca Graff-McRae (Photo: David J. Climenhaga). Just as NDP governments have a better fiscal record than all other Canadian political parties that have formed governments, a new study by the Edmonton-based Parkland Institute released yesterday shows that when compared to Liberal, Conservative and conservative-allied governments, provincial NDP governments since the 1990s have approached financing public health care with an emphasis on fiscal prudence. “Perhaps due to the precarious financial situations many of them faced when elected – and to the chagrin of many of the party’s base supporters – NDP governments have largely been content to hold the line on health care, rather than introduce sweeping changes,” observed the study’s co-author, Parkland Director Trevor Harrison in a statement accompanying the release of Alberta in Context, Health Care Under NDP Governments. Study co-author Ian Hussey (Photo: David J. Climenhaga). Of course, stating the opposite of both realities is a hardy perennial of conservative political propaganda in Canada, especially in the run-up to elections in which the NDP are competitive. These claims have been repeated as fact so often that huge numbers of Canadians simply assume they are true, and frankly disbelieve anyone who says otherwise. The Parkland examination of health spending in B.C., Saskatchewan, Manitoba, Ontario and Nova Scotia found that spending on health care as a percentage of GDP did tend to increase under NDP governments. However, while NDP governments defended public spending on health care, they didn’t greatly expand it after the early 1990s. Study co-author Larissa Stendie (Photo: David J. Climenhaga). Moreover, the report found that the portion of spending on public health care remained the highest and steadiest in the western provinces regardless of whether the New Democrats, Liberals or conservatives were in power. Sadly, the report indicates that after the rise of neoliberalism in the late 1970s, all five NDP governments adopted many neoliberal economic nostrums and fiscal policies. While the Parkland study deals with health policy, this is true in other areas as well. As is well understood, neoliberal governments try to cut public spending on health care to produce service cuts, allowing them in turn to justify privatization as a “solution” to a problem of their own creation. As a matter of practical economics, neoliberalism has been a failure, not delivering on its promises of the same level of care for less money. As an ideology, though, it has arguably been a success despite its repeated failure to deliver. Economist Toby Sanger (Photo: David J. Climenhaga). 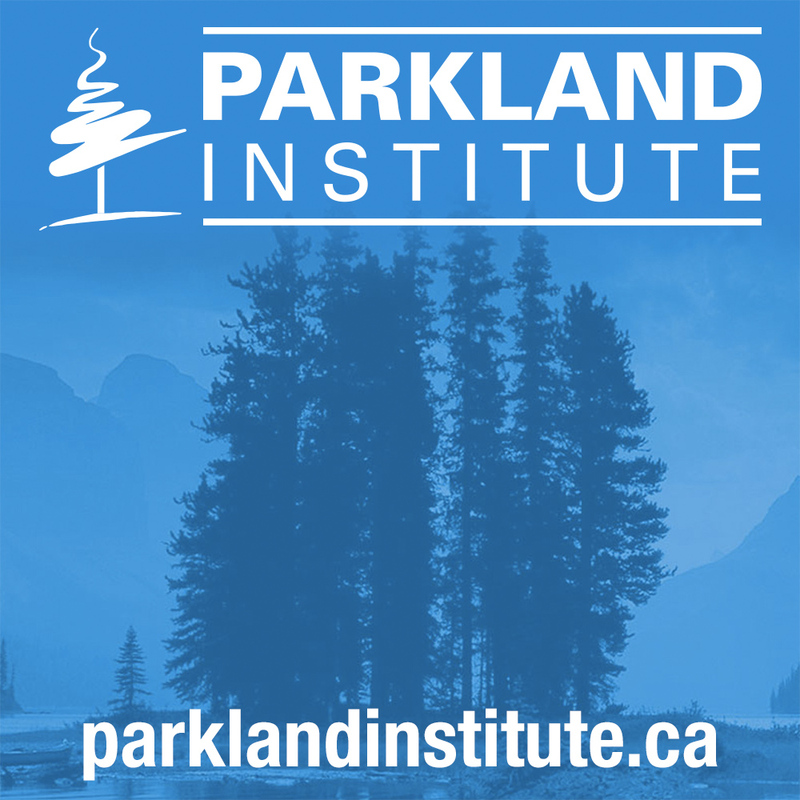 “Having all but abandoned the notion of increasing state revenues through direct ownership or Crown corporations, and later agreeing to lower corporate and individual taxes, NDP governments often found themselves trying to square the fiscal circle of meeting public needs and demands with dwindling revenues, while also trying to hold true to social democratic principles,” concludes the Parkland report, which was co-authored by Dr. Rebecca Graff-McRae, Larissa Stendie, and Ian Hussey, Parkland’s research manager. As for the better fiscal record of NDP governments compared with other political parties, that is hardly news. 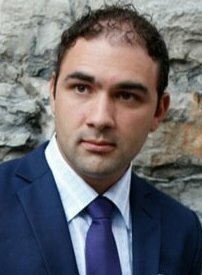 It demonstrated convincingly in a 2011 analysis by economist Toby Sanger, executive director of Canadians for Tax Fairness, but seldom reported by mainstream media. Eve & Dimitri’s defection: Will it play in Pickering? You bet it will! One drunken Heritage Moment and the whole shabby chic (C)onservative movement is having a movement? I’d say I’m starting to look normal! Sheesh! PS thanks for what you do!! There haven’t been any socialist boondoggles like the Magnesium plant, Novatel or Quest carbon capture. Lest we forget Bovar. 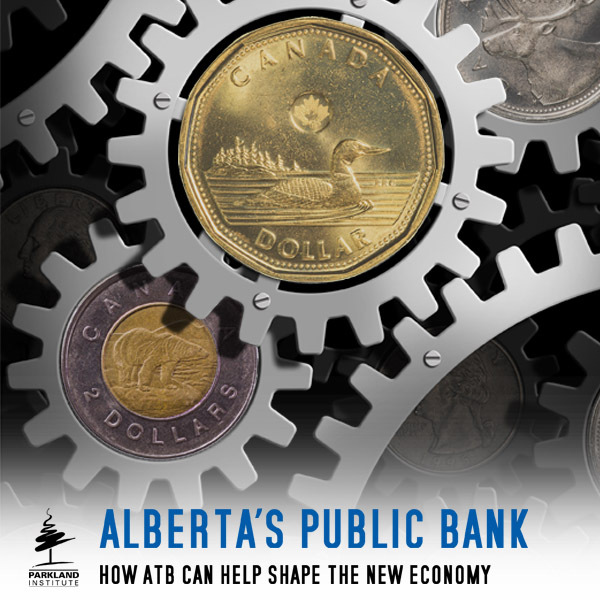 There is never a dime in Alberta that wouldn’t be better used in an offshore hedge fund. The Conservatives talk much about balancing budgets but are no better at it than Liberal governments when in power. Case in point- Alberta’s big deficit prior to 2015. They cut provincial taxes only in order to be able to cut services such as health care and education. Their policy is to starve the beast in order to have an excuse to cut these expenditures. Their will be no economic miracle following an election of Jason Kenney’s UCP. That will require a much higher price for oil and with the current glut of oil on world markets that isn’t going to happen. Just as cutting corporate taxes doesn’t produce business investment. Kenney will not change anything positively with his neoliberal/neoconservative austerity policies which are what resulted in the NDP being elected in 2015 when jim Prentice announced his plans. People are free to believe what they want but should not expect miracles from any political party. The impression conservatives have (or try to convey) of the Alberta NDP being big spenders is not correct, although of course it fits both their political narrative and preconceptions, so it will be very difficult to convince them otherwise. Hopefully, the government will have a better chance of convincing the less ideologically rigid portion of Alberta voters of this. I think the biggest problem in trying to convey this responsible spending message is the large deficit itself, which of course arises not because of spending increases, but revenue reductions. Unfortunately, Alberta and its economy is still on the oil and gas roller coaster and while prices have recovered in the last year, they are still less than half of the peak in 2014 and accordingly royalty revenues have declined by tens of billions, which not coincidentally is close to the level of the deficit. The NDP has done a good job containing spending, while not cutting services noticeably, which is ironically one reason why health care and education are no longer such big issues right now when pollsters ask about it. Perhaps it has also been long enough ago that some Albertans have forgotten about (or for newer Albertans and voters, never experienced) the particularly ugly years in the 1990’s when there were cuts to spending in health and education and all the disarray and problems that resulted. Maybe some of the news coverage from that time should be replayed now, so voters now will be aware of what they might get if they vote for a party that wants to cut spending. I still recall from that time around 3 to 5 prominent news stories every week for quite a while about many patient problems caused by the cuts and I think many, many more similar stories that were never covered. As they say, those that don’t learn from history are doomed to repeat it, so I think unless we really have forgotten the past, we don’t want to go down that path again. What did Mr Sanger say about the NDP government giving Irving Shipyards in Halifax $296 million a decade ago? Said outfit held by reclusive billionaires had recently won a $23 billion contract from Stevie to build destroyers. Why the hell did Nova Scotia need to give ’em money for nothing? $300 from every Nova Scotian handed over to oligarchs. Never been properly explained. Stuff like that meant we got a Liberal government next, hell bent on austerity, amalgamating everything in sight, and assuming the facade of secrecy when asked for FOI requests. The only saving grace is that they are semi-socially progressive. Snarling Cons with no brains but slogan chanting don’t go down so well around these parts. The other problem faced by the NDP was the general belief that they would go easy on public sector unions. When you have a situation that there is no other choice but monolithic public sector unions claiming pay increases and benefits beyond what private sector workers could ever hope to negotiate, and willing to strike because there is no “competition” for their services, the tax-paying public’s private parts are held to ransom. If a private sector union strikes, the consumer can pick another brand while the turmoil lasts. When the teachers go out, who you gonna call? Or the hospital support staff union? I’ve never liked public sector unions personally for that reason – I acknowledge that some sort of collaboration to prevent being used like peons is necessary for public sector employees, but it all seems so one-sided in their favour the way it is now. and they still get indexed pensions when most people are stranded having to work something out for themselves these days. There is a 2 to 1 difference in paid holidays, 12 versus 6, better vacations and so on. Haven’t a clue how to resolve it, but the NDP have to come up with something. All I see them do is vying for power like the rest of the pols. The grass roots are evaporating. Are the NDP profligate in general? No, but only because they overcompensate so that the opposition can’t hold the spectre of excessive spending over them. Too worried about their PR for history’s sake, I think. So the fact that private sector employees in this country are comprehensively exploited means that public sector employees should be similarly abused? A dollar a day and what have you, no? The silence on the proof of “the better fiscal record of NDP governments compared with other political parties via Canadians of Tax Fairness,” is interesting. Re: the drastic cutbacks to health care in Alberta in the Klein era brings back memories for me. who was on the health care professional front line then. I still am. Then, we experienced many Alberta folks who had voted for the AB Conservatives and who entered the health care system, and came to the realization that their expectations were not being met. Some of them took it out on us on the front line, and finally some of us, knuckled under and said in response, “talk to Ralph Klein.” Many of us thought it and knew it, but did not say it. But, we did carry health care then with brutal hard work. Given the chance, at age 17, to decide what to do in life, and because of the Klein cutbacks, I would not do the nursing profession again. What also happened then were the cutbacks to the med schools at the Universities of Alberta and Calgary. 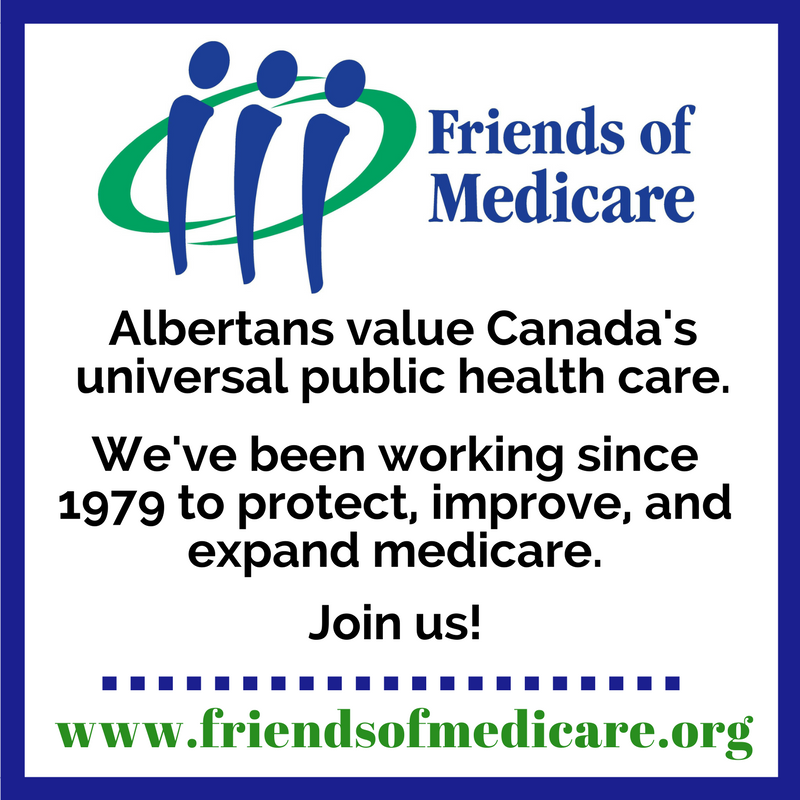 I believe we are still suffering from too few doctors in Alberta to this day as a result, particularly in the rural areas, along with the loss of acute care beds in the rural areas. We also lost many topnotch Alberta health care professionals to the USA. Many of us health care professionals now look at the Jason Kenney UCP potential cutbacks to health care with a jaundiced eye. I will vote for the Rachel Notley AB NDP. “Build and hire, or cut and fire”……. And for the well known anticipated mantra of “those unionized nurses making too much money,” it brings back to mind our Conservative/UCP voting farmer/rancher acquaintance who got bucked off his horse and sustained a severe back injury. Before, he would come to the local drop-in centre for coffee and complain that nurses made too much money. He needed all aspects of care from his Registered Nurses, i.e.urinary, gastrointestinal, pain management, emotional support, nutrition, observation for paralytic ileus … on an on, and including young RNs, many who now come out of a 4 year degree program with some $50,000 in student loans. Needless, to say, on recovery, he came back to the coffee gathering and amid much mocking, admitted that his nurses were worth every penny. Health care is one of the principal areas of public services where Conservatives, both old-school PCs and the new UCP, not to mention DoFo in Ontariariario, talk incessantly about “cutting the fat”, “eliminating waste”, “too many managers”, and “won’t touch front-line services”. Of course, they have gotten gun-shy about overtly reducing services, justifiably fearful of public backlash, but their claims about making cuts that don’t adversely impact the point of care are disingenuous. As a direct-care RN with over 30 years experience under my belt, let me tell you this is a fake promise, and further cutting layers of administration is a mirage. You see, as direct care staff, we rely on all those managers and mid-level directors for all sorts of things we can’t do ourselves. Hiring, mentoring and scheduling our co-workers, to both replace staff attrition—because people move, have babies, get sick, retire, die, win the lotto & move to Fiji—and to expand staffing levels when necessary, are management functions without which we are inevitably left short-handed. Ensuring we have the necessary support services, from equipment and supplies, to maintenance, to utilities to run care facilities, is a necessary management function. Paying us, since after all highly-qualified health care professionals are not volunteers: gotta have management to do that. So, you can’t just go through the gigantic AHS org chart—which was, let’s not forget, the brainchild of Mr Ron Liepert—with a scythe, and expect to keep a quality health care system. You have to do it with a scalpel, and so at the end of the day, the savings will be negligible. I agree, Jerry. If every government for 20 years cuts the fat, how can there be any left to cut?